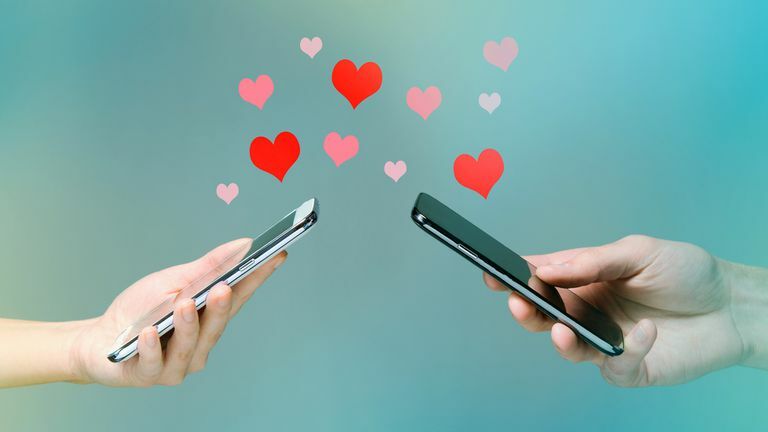 Tinder can be a convenient tool for meeting new people but its approach to sending a message to another user is substantially different from how chat is designed on other dating apps. Here's everything you need to know about how to message someone on Tinder. Unlike most other social media and dating apps which let you immediately send a direct message (DM) to another user, Tinder requires both parties to have expressed interest in each other before lines of communication are opened. What this means is that you need to swipe right on a user's profile to register your interest in them and they need to also swipe right on your profile to prove that they're interested in you. Once both parties have swiped right on each other, each of you will receive a notification within the app about a new match and you will be added to each other's chat tab. In addition to swiping right, you can also tap on the heart icon on a user's Tinder profile to express interest. Both actions perform the same function. Sometimes this can require a bit of a wait for the other user to view your profile and like it after you've liked them but, if they've already liked you, you will be immediately notified of the match as soon as you swipe right. Conversely, if the other user never sees your profile or chooses to swipe left on it due to them being uninterested, you will not match and will never be able to message each other on Tinder. Once you've matched with someone on Tinder, you'll be able to message each other via the chat tab within the smartphone and tablets apps. These instructions are the same for both the iOS and Android versions. After you've matched with someone on Tinder, tap on the icon that looks like a speech bubble in the top-right corner of the app. If you immediately match with another user after swiping right on their profile, you may be presented with a fullscreen message prompting you to message them. If you see one of these notifications, simply tap on it to begin composing a chat message straight away. You will now be shown a screen with all of your matches listed horizontally across the top with a vertical list of received messages underneath. Tap on the image of the user you want to message from the top list. A chat window will open. Tap on the text field along the bottom of the screen and type your message. Alternatively, you can also tap on the GIF icon to send an animated gif or the Bitmoji Sticker icon to send a sticker. Your message will now be sent to the other person and you'll both be able to chat as you would on other messaging apps like WhatsApp, Vero, and Facebook Messenger. You can also send messages to other Tinder users on the official Tinder website. Here's how. Like with the Tinder apps, you will only be able to send a message to someone else on the Tinder website if you have matched with one another. Go to the official Tinder website and log into your account. On the left side of the screen, you should see a list of everyone you've matched with on Tinder. Click on the profile of the person you want to begin a chat with. Along the bottom of the screen, click on the text field where it says Type a message. Type your message and click on the Send button. All Tinder messages will sync between the web version and any apps that use the same account information so you can start a chat on your computer and continue it on the Tinder app on your smartphone or vice versa. Your Tinder chat will now be active.